It’s all about ribbon today! I just love these bulk rolls of ribbon. They can be used on any and every project and the price is so affordable! The One of the products listed below is the mystery Jackpot item for today. If you order the mystery Jackpot item, you will receive the My Acrylix® Celebrate Life Stamp Set (retail value of $18.95 US/ $22.50 CAN) for FREE! Order one of each of the items below to guarantee that you will hit the Jackpot! Yesterday’s mystery Jackpot June item was … the Abundance Level 2 Paper Packet! If you purchased this yesterday from a MyCTMH site, you received the White Daisy Grosgrain Bulk Ribbon for FREE ($6.95 US / $8.25 CAN)! I hope you are enjoying Jackpot June! There are some amazing deals this month! 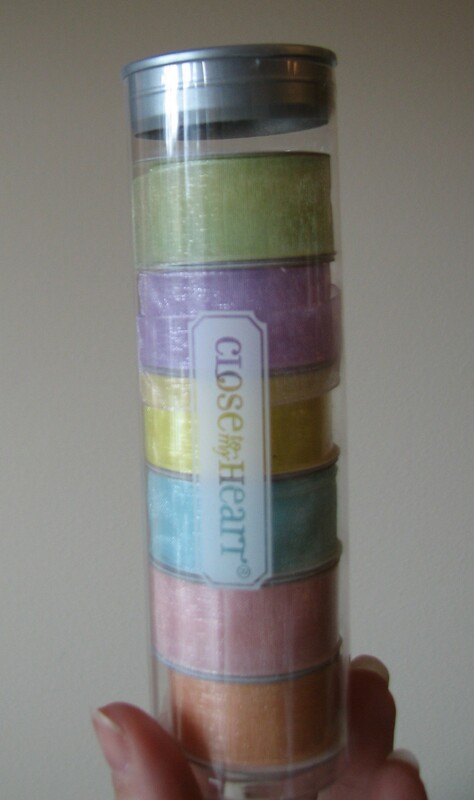 Welcome to another Close to My Heart Product Spotlight Blog Hop! This month we are featuring Just Bloom flowers! Flowers are one of my favorite products and with two girls I add them to almost every page. Plus, the Summer Posies and the White Daisies are currently on sale! 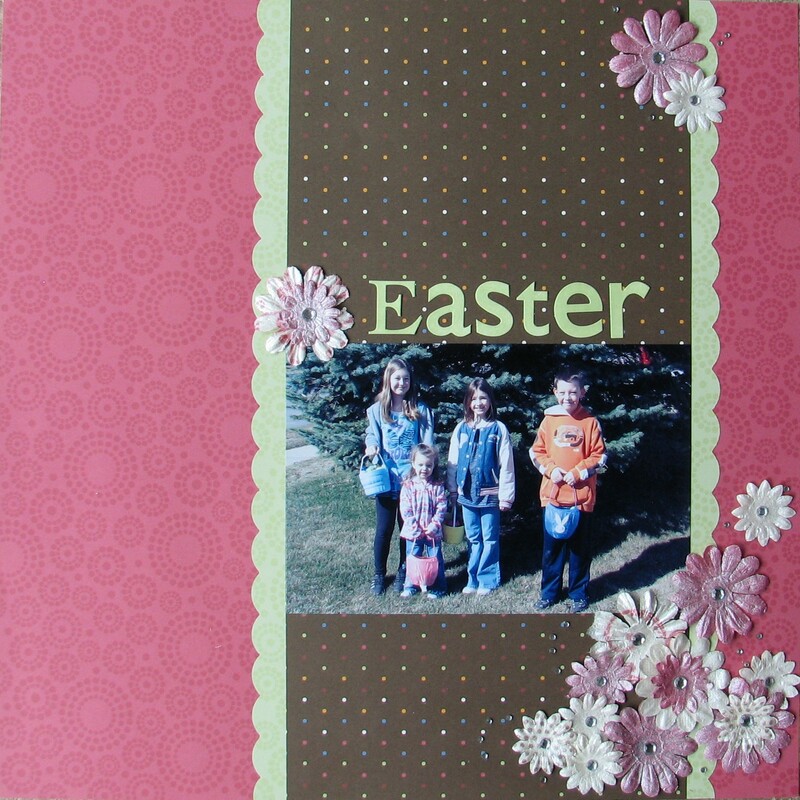 Products used are all CTMH: Magic Moments Level 2 Paper Packet, Just Blooms White Daisy Variety Pack, Spot On Backgrounds stamp set, Playful Flourishes stamp set, Create-a-Shade paint, Sparkles, Bitty Sparkles, Hodge Podge Color Ready Alphabet, Hollyhock, Sweet Leaf, and Chocolate ink. My favorite flowers are the White Daisies because you can make them any color you want by using reinkers and dying them. There are so many things that you can do with these flowers: add a little or a lot of color with reinkers and ink, stamp them with any design and color for added detail, layer them, or paint them. 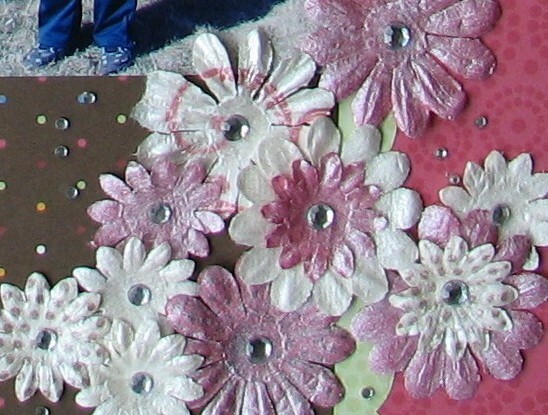 There are many things you can add as the flower center: a drop of paint or glitter glue, buttons, brads, eyelets, rhinestones/gems/sparkles, pearls, a ribbon knot, sticker, or stamped image. You can see many of these techniques on the flowers on my layout. I stamped some of them with different images and because I just love the shimmer I painted them all with Create-a-Shade paint. I also love sparkles so I added them as my flower centers and around the flower clusters. The Color Ready alphabet stickers are sponged with Sweet Leaf for a perfect color match to my layout. 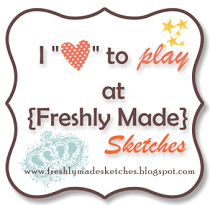 Now hop over to Tracy’s blog to continue! Please come back and visit on July 15th for our next blog hop spotlighting the Cupcake Sprinkles stamp set. See the previous post for a complete list of participants. Wendy K. - MyScrapbookingBlog.com  <---You are here!